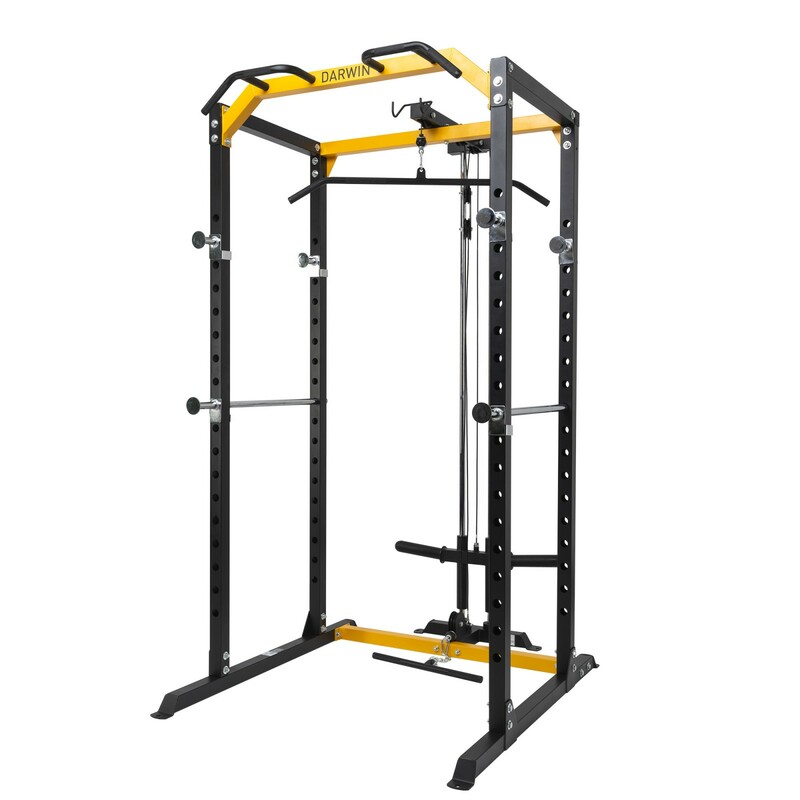 The Darwin Power Cage, even in its basic configuration, offers a solid training solution. It has two long Barbell rests and in total four smaller rests, that can be adjusted to 18 different height configurations. 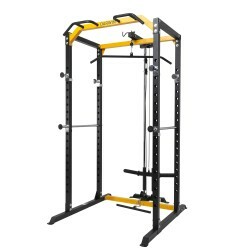 The Cage comes with a Pull-Up bar with five different grips. So that you train effectively in more exercises in a safe environment. But there are even more possibilities in this set: The Dips attachment. Which just like the Barbell rests can be adjusted to different height configurations. Dips aren't the only exercise to utilise the attachment. For example use them for Leg Raises to train your Stomach or train your Back with horizontal rows. The Cable System is attched behind the Power Cage. The Cable System has two handle attachment options: one high and one low. 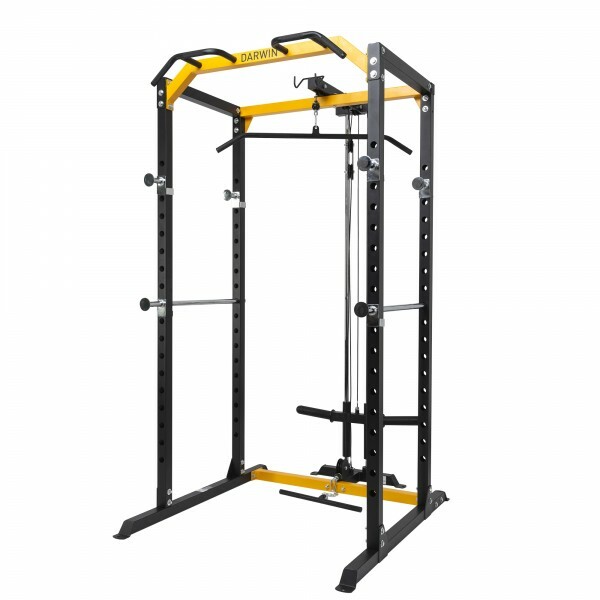 A Lat Pulldown Bar and a short Rowbar are included in the set. The Cable System is weight plates based and you can load the Cable System up to 100 kg – which is more than most machines with weight blocks can offer. Both weight plate sizes, 30 mm or 50mm, can be used with the Cable System. An adapter is also included in the set.